(Kevork Djansezian | Associated Press file photo) In this Feb. 8, 2002, photo, a Salt Lake City Olympic flag is skated into the Rice-Eccles Olympic stadium during the opening ceremonies of the 2002 Winter Olympics in Salt Lake City. After the 9/11 attacks, organizers of the 2002 Winter Olympics — held just five months later — considered keeping fans away amid worries about terrorism, and perhaps merely televising events with no one in the stands. Also, many countries said they feared for the safety of their athletes and were reluctant to send them, forcing the Salt Lake Organizing Committee to work hard to calm their worries — an effort that included private briefings in Utah to share secret intelligence plans. Those little-known activities leading up to the Salt Lake Olympics were revealed in recent days as some of the event organizers remembered 9/11 on its 17th anniversary. It started when Michael Huerta, who planned transportation for SLOC and later became chief of the Federal Aviation Administration, talked Wednesday to the University of Utah’s Kem C. Gardner Policy Institute. He was asked about the effects of the terrorist attacks on those Winter Games. “There was talk of perhaps hosting the Olympics, but have them be a virtual Olympics — let’s just not have spectators,” Huerta, now a Park City resident, disclosed. 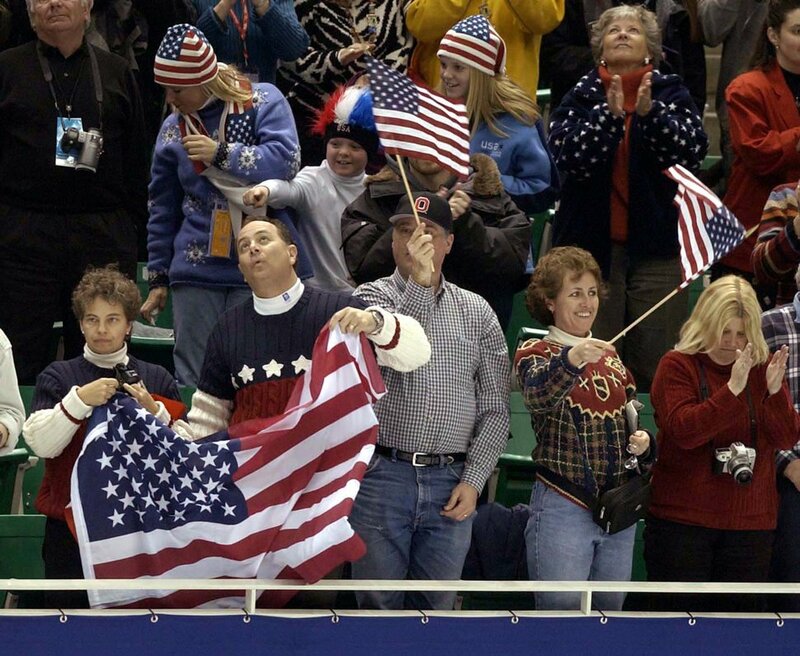 (Trent Nelson | Tribune file photo) Spectators cheer at the Men's Free Skating Finals competition at the Salt Lake Ice Center during the 2002 Olympic Winter Games. So, Huerta said, “Fortunately that was an idea that had relatively short shelf life.” But he added that the organizers had to quickly and vastly rework security plans for the Olympics, the first large international event in America after 9/11. Mitt Romney, who headed the Olympics and is now running for the U.S. Senate, told The Salt Lake Tribune he did not remember the TV-only Games proposal. “But it’s been a long time. It would make sense for that to be considered,” he said, and perhaps lower-level leaders rejected it before it reached his desk. 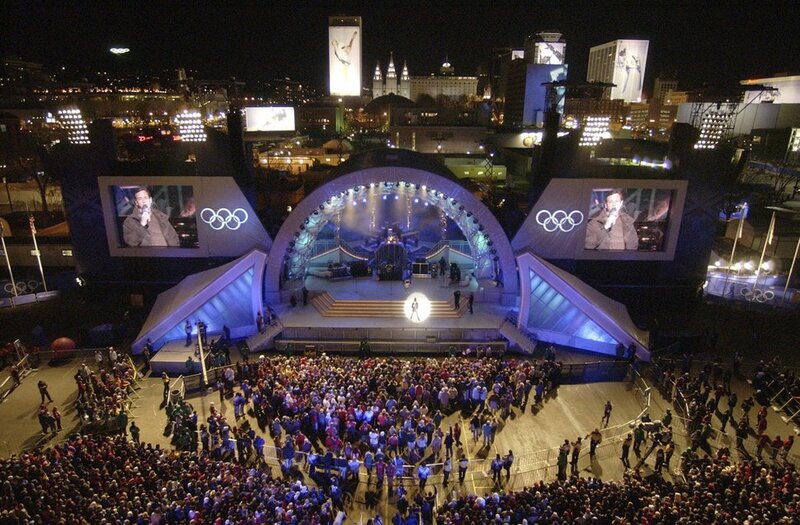 (Steve Griffin | Tribune file photo) With downtown Salt Lake City in the background, people surround the stage at the Olympics Medals Plaza during the opening night of the downtown venue Feb. 9, 2002. Romney then revealed that many countries initially said they were reluctant to send their athletes after 9/11. “The most immediate concern was that athletes would not come to the United States. We had several countries contact us and said they were uncertain whether they would be willing to send athletes to the United States given the threats,” he said. Romney was in Washington, D.C., on 9/11 and was scheduled to talk to various government leaders about federal funding for the 2002 Olympics. His appointments all were canceled because of the attacks, but he talked to some leaders the next day — including Sen. John McCain, R-Ariz., who until then had been a leading critic of federal earmarks for the Games. “He said, ‘Given what’s happened, I’m with you on whatever is needed for security,’” Romney recounted. "Then we began mapping out what might be needed” — including persuading wary countries to send their athletes. (Patrick Sison | Associated Press file photo) In this Tuesday, Sept. 11, 2001, photo, plumes of smoke rise from the World Trade Center buildings in New York. 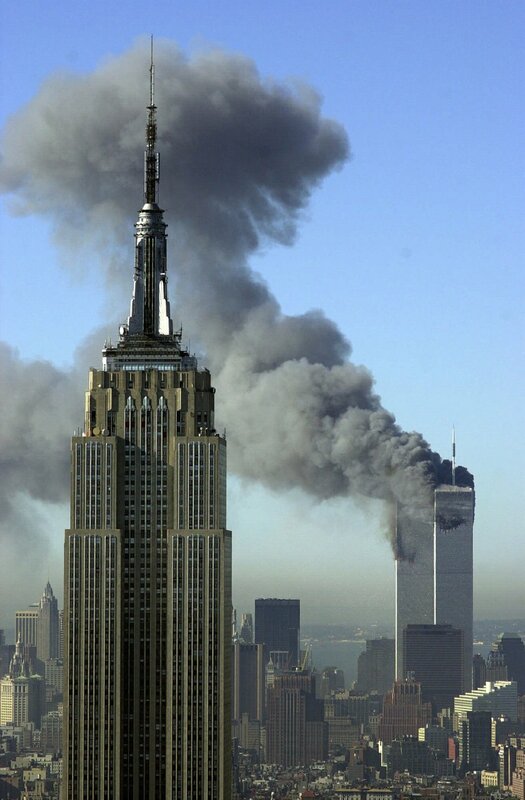 The Empire State building is seen in the foreground. The effort entailed flying security leaders from other nations to Utah for what Romney remembers as a two-day seminar that “laid out for them our specific plans” to protect athletes and crowds of spectators. Former Utah Gov. Mike Leavitt told The Tribune that efforts to ensure a secure event helped douse some open talk at the time of even canceling the Olympics. “There were a few days right after the attacks people were asking whether the Games should be held,” Leavitt said in an email. “That kind of talk was quickly extinguished. I think the worry persisted with individual athletes and a few national teams for a while.” But he said the reassurance campaign by Romney and other leaders helped calm those fears. “But security concerns remained top of mind until the closing ceremonies were over,” Leavitt said. Leavitt, governor at the time, has described it as the largest domestic security operation in U.S. history. Then-Sen. Bob Bennett boiled it down to numbers: 2,400 Utah officers, 2,000 Secret Service agents, 1,100 FBI agents, 2,400 military personnel, 2,200 fire and emergency workers and law enforcement officials from 48 states who patrolled 900 square miles and screened 3.5 million spectators.